He created popular superhero characters like Iron Man, Spider-Man, Thor and many more. Stan Lee, the comic artist behind popular characters like Spider-Man, The Incredible Hulk and X-Men, among others, has died on November 12 (US time) at 95. In a report by TMZ, Stan was brought to Cedars-Sinai Medical Center early morning and passed away. The comic legend suffered from various illnesses in the past including pneumonia and vision problems. Stan's daughter J.C. Lee released a statement following her father's death. "My father loved all of his fans. He was the greatest, most decent man," she said. 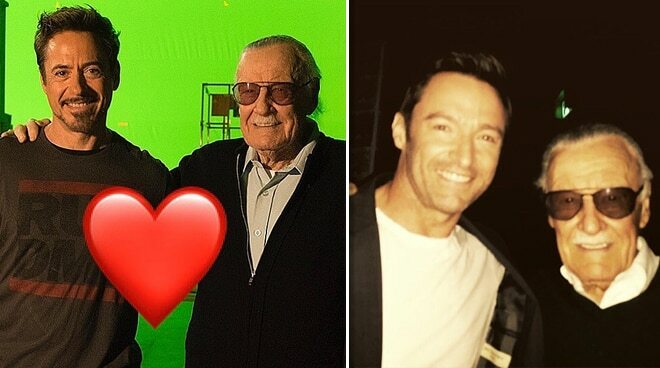 Actors like Robert Downey Jr. and Hugh Jackman took to social to media to express their grief about the passing of the comic legend. "I owe it all to you. Rest In Peace Stan... #MCU #Excelsior #legend #rip#stanlee #TeamStark ," Downey posted on Instagram. "We’ve lost a creative genius. Stan Lee was a pioneering force in the superhero universe. I’m proud to have been a small part of his legacy and to have helped bring one of his characters to life. #StanLee #wolverine," Hugh stated. Stan Lee , Stan Lee Iron Man , Stan Lee Marvel , Marvel comic artist , Iron Man , Avengers , Avengers Stan Lee , Hugh Jackman , Robert Downey Jr.